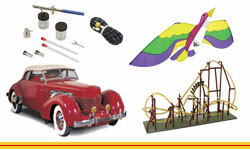 RCSLOT is the one stop shop for all your Radio Control, Slot Car, Model Train, and Toy and Hobby needs. We carry all the top name-brands in the industry with the Best Products...Great Prices...Reliable Worldwide Shipping... Why shop anywhere else? Our product line consist of both Electric Powered and Gas/Nitro Powered Airplanes. With both, we stock a wide variety of different Beginner Level Planes, Plug N Play Airplanes, Airplane Kits, ARF - Almost Ready-to-Fly Airplanes, and RTF - Ready-to-Fly Airplanes. We not only offer all the different Planes and Kits, but we have the parts you'll need to stay flying. 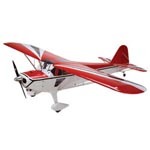 Click RC Airplanes to see all the different items we have available. If you already know the Brand or Manufacturer of the parts you're interested in, just enter their name into our Store Search at the top-left of this page and click Go. Some of our popular RC Airplanes and Part Manufacturer's include Hobbyzone, E-Flite, Hangar 9, Parkzone, Seagull, Dubro, Sullivan, Windsor Propeller, and Landing. RC Boat product lines consist of both Electric Powered Boats and Gas/Nitro Powered Boats. With both, we stock a wide variety of different Boat Kits, ARF - Almost Ready-to-Float Boats, RTR - Ready To Run Boats, and Sailboats. To assure you keep having fun with this exciting water-sport, we have your replacement parts and tools like various starting systems, tuned exhaust pipes, water pumps, fuel line, propellers, manifolds, rudder assembly pieces, and much, much more. 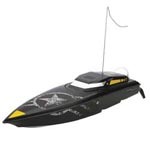 Click RC Boats to see all the different RC Boats we have available. If you already know the Brand or Manufacturer of the parts you're interested in, just enter their name into our Store Search at the top-left of this page and click Go. Some of our popular RC Boat and Part Manufacturer's include Pro Boat, Dubro, Dumas, Hobbyzone, Billing Boats, and Traxxas. RC Car & Truck Product Lines consist of both Electric Powered and Gas/Nitro Powered Cars & Trucks. We carry many different types of Electric Cars & Electric Trucks and Gas Cars & Gas Trucks, such as, On-Road and Off-Road Cars & Trucks, Monster Trucks, Buggies, and Truggies, all of which are available in sizes ranging from 1/12 Scale, 1/10 Scale, 1/8 Scale, 1/6 Scale, and even as big as 1/5 Scale. They are mostly 2WD-Two Wheel Drive and 4WD-Four Wheel Drive, but we do have a few odd-balls. To accompany such a wide supply of the different model vehicles, we have thousands and thousands of all the RC Car & Truck Replacement Parts, Accessories, Upgrades, Hop-Ups, Add-Ons, Tweaks, Batteries, Chargers, Speed Controls, Tires & Wheels, and Modifications you could possibly want. 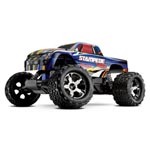 Click RC Cars & Trucks to see all the different items we have available. If you already know the Brand or Manufacturer of the parts you're interested in, just enter their name into our Store Search at the top-left of this page and click Go. Our popular RC Car & Truck Manufacturer's include Team Losi, Traxxas, Dynamite, Associated, HPI, GS Racing, Integy, MIP, Ofna, Parma, Pro-Line, RD Logics, Robinson Racing, and Tamiya. RC Engine Product Lines consist of RC Airplane Engines, RC Boat Engines, RC Car & Truck Engines, RC Helicopter Engines, and RC Engine Parts, as well as a huge selection of RC Electric Motors. We have every size, stroke, turn, power, and dimension of Engines, Engine Parts, Starters, Mufflers & Tuned Pipes, Crankshafts, Pistons, Heads, Headers, Bearings, Glow Plugs, and well, just about everything you could want or need. 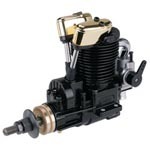 Click RC Engines to see all the different items we have available. If you already know the Brand or Manufacturer you're interested in, just enter their name into our Store Search at the top-left of this page and click Go. Our popular Manufacturer's include Saito, Traxxas, Dynamite, Evolution, HPI, Ofna, Orion, Losi, and Zenoah. 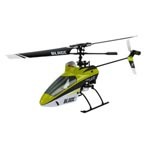 RC Heli Product Lines consist of both Electric Powered Helicopters and Gas/Nitro Powered Helicopters. With both, we stock a wide variety of different Helicopter Kits, ARF - Almost Ready-to-Fly Helicopters, and RTF - Ready-to-Fly Helicopters. With all the different varieties and sizes available, we don't stop with the Heli's and Kits, we've got the Helicopter Engines, Replacement Parts, Accessories, and Hop-Ups you'll need to stay flying all the time. 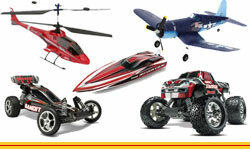 Click RC Helicopters to see all the different items we have available. If you already know the Brand or Manufacturer of the parts you're interested in, just enter their name into our Store Search at the top-left of this page and click Go. Some of our popular Manufacturer's include Blade, Align, Microheli, JR, and Venom. RC Radio Product Lines consist of Airplane Radios, Boat Radios, Car & Truck Radios, and RC Helicopter Radios, as well as RC Servo's for every application. Our huge selection of varying AM and FM Frequency Radios include the following channels: 2 Channel, 3 Channel, 4 Channel, 6 Channel, 7 Channel, and 9 Channel. Not only do we just have the Radio's for every RC Hobby Application imaginable, but we carry thousands of different Radio Parts, Crystals, Batteries & Chargers, Receivers, Modules, Switches, Telemetry, and various Servo Accessories. 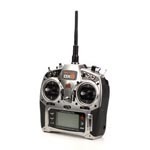 Click RC Radios to see all the different items we have available. If you already know the Brand or Manufacturer of the parts you're interested in, just enter their name into our Store Search at the top-left of this page and click Go. Some of our popular Part Manufacturer's include JR, Spektrum, Hitec, and KO Propo. 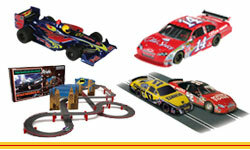 RCSLOT's Slot Car Product Lines consist of 1/32 Scale Slot Cars and HO Slot Car Racing. Throughout the selection of Slot Car items available, we offer Sets, Track, Cars, Controllers, Axles, Gears, Tires, and Braid. 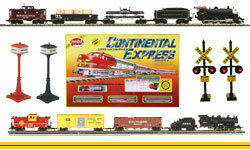 Our assortment of products cater to different Slot Car Classes with a focus on 1:32 and HO Scale. 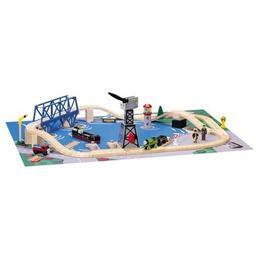 Click Slot Car Racing to see all the different items we have available. 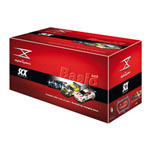 Our most popular Manufacturer's include AFX - Racemasters and SCX. Model Train Product Lines consist of HO Scale Trains, N Scale Trains, O Scale Trains, G Scale Trains, Non Scale Train Parts, and Tinplate Trains. Within these many different Model Scales, we carry a large selection of Model Train Sets, Locomotives, Rolling Stock Cars, Track, Buildings, Decals, Figures, Vehicles, Scenery, Scenic Materials, Power Supplies, Controllers, and various other Parts and Accessories. 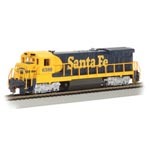 Click Model Trains to see all the different Model Train items we have available. If you already know the Brand or Manufacturer of the Model Train Parts you're interested in, just enter their name into our Store Search at the top-left of this page and click Go. Some of our popular manufacturers include Athearn, Roundhouse, MTH, Atlas, Bachmann, Woodland Scenics, BLI, Intermountain, MTH, and USA Trains.